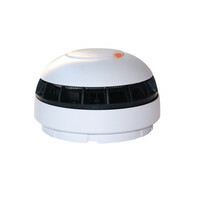 The Fike Twinflex Multipoint Detector is a single device providing all the features of normal conventional smoke and heat detectors in a single unit, which can be configured to operate in one of seven modes to suit the environment in which it is located. 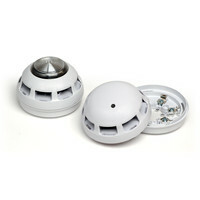 The device is available with or without an integral sounder, but is otherwise universal in its application. The sounder can be configured for normal volume (90 dB(A) at 1m) or low volume (75 dB(A) at 1m). For surface mount installation of the Twinflex detectors you will require an additional Multipoint detector deep back box.